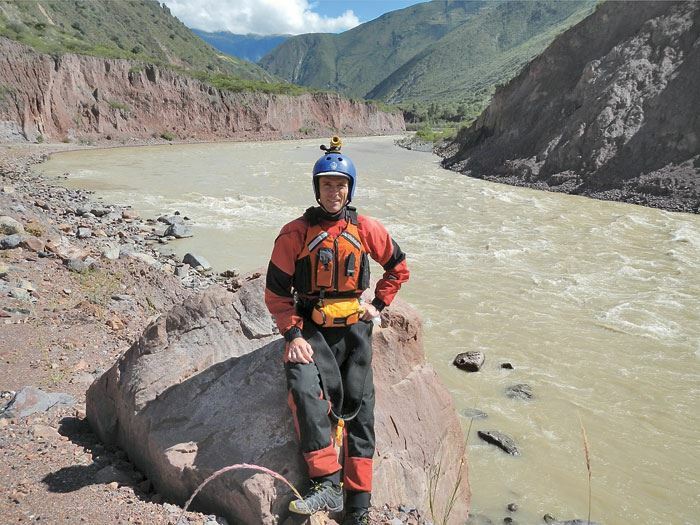 Are you just getting started with whitewater kayaking and looking for a great way to start running rivers? Or perhaps you're an experienced paddler who'd like to meet local boaters and give something back to the Colorado whitewater community? Then come see what we're all about! Build your skills with Training Camp! Join CW for a whole weekend of on river skill building. There are classes for every skill level, or join for a great band, raffles and eats. It's awesome! Looking for groups to go out with to learn new rivers? Join these cruises for relaxed social paddling. Looking for more inspiration? Meet Rocky! Our annual spring dinner highlights the grand canyons around the world from the Nile to the Amazon. Join us for yummy food and a great speaker. Meet fellow members to camp and paddle on classic Colorado rivers: Poudre, Arkansas and Colorado. Potlucks and good times all summer long. 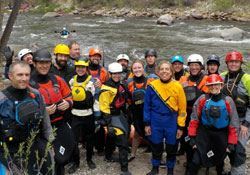 Colorado Whitewater (CW) is an all-volunteer, nonprofit organization that promotes the sport of whitewater kayaking in the Rocky Mountain region. We introduce new kayakers to whitewater, teach paddling techniques, promote and teach whitewater safety, and support racing and freestyle kayak competitions. In addition, our mission is to inform the public about river access, conservation, and other general issues concerning rivers and wilderness, while working to resolve problems related to those issues.